I don’t know when I have had such fun at the theatre and at the same time come away just a bit faklempt. If you have some free time this weekend – My Perfect Mind, part of Brits Off Broadway Series at 59E59 Theaters is a bit of business that will leave you laughing and thinking and deeply moved. Edward Petherbridge is 78. Going to be 79 in August. Twleve years back he had himself a stroke, from which he has recovered mightily. What he missed, however, was his own performance as King Lear. He went from being a vulnerable and despicable royal to a banged up and stuggling patient. He right side had gone wrong, and soon his days were spent focused on how far he could walk down a particular hallway and what support he would need to do so. He and Paul Hunter have collaborated with Kathryn Hunter (no relation, and recently seen here in Theatre For A New Audience’s productions of A Midsummer Night’s Dream and Valley of Astonishment) to create My Perfect Mind. In this two-hander we get to explore non only what was, but what might have been. The clinical portion of the presentatioin is given to us by Mr. Hunter as Dr. Witznagel (Paul Hunter) outfitted in a lab coat and sort of Marx Brothers wig. He explains to us, his medical students, that when a person has a stroke, the brain sort of swings about inside the skull and comes to rest in a “drop zone.” He illustrates this with a a small cannon ball that he releases (the set is a platform on a nearly 45 degree rake) with the intention that it will land in the box of broken bits of ceramincs that he has rigged up to represent said drop zone. When the cannon lands and prompty bouces out of the box and rolls off stage, he explains that some brains never even find the drop zone. Too bad. We are introduced to Mr. Petherbridge as a person who EPS “Edward Petherbridge Syndrom, which makes him believe he is an actor of some heft reputation who has been on the stage and screen for 50 plus years. This will be reversed to the King Lear Syndrome at the story’s end. Petherbridge enters, makes a few comments about the set It looks either slapdash or pretentious and we are off to the races. We don’t know where we are going but these two make the journey worth it. Hunter and Petherbridge take us in and out of the present and past. For this they use the text of King Lear as their guide. 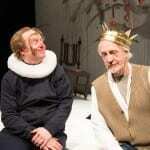 In the hands of Petherbridge the poetry, passion and pathos of this king explode into the theatre. In recent years I have seen Christopher Plummer, Kevin Kline and John Lithgow. Yet THIS Lear is the one that got me. 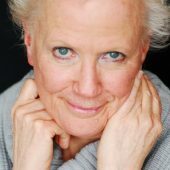 Intertwined with the facts of Petherbridge’s life, this Lear is fully formed and filled to the brim with hot blood. When their parallel worlds fall apart these two characters crumble like a tag team that runs out of steam and still staggers on. 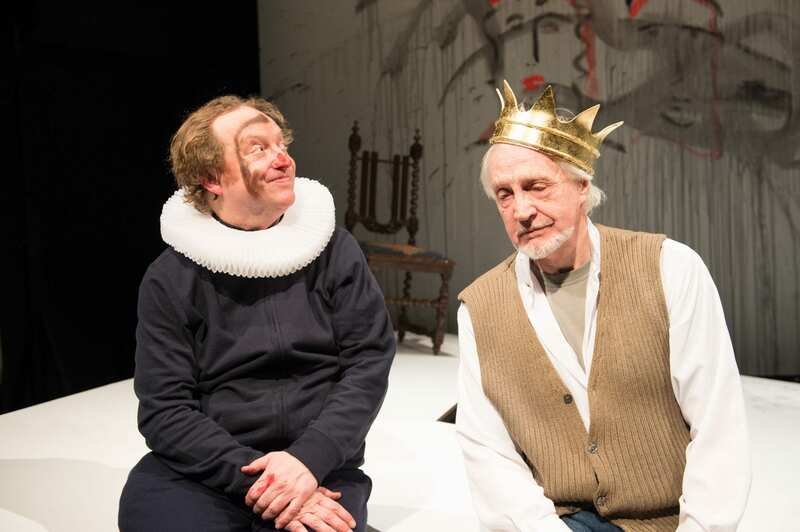 Hunter keeps up his end of the bargain by “playing all the parts” – from Cordelia to a sympathetic cab driver to the director in Australia who cast Petherbridge in Lear to Lawrence Olivier playing a morphed Richard II and Othello. He is nimble and facile and keeps us in his charge at all times. The text is fast paced and very very smart. You must do double time as the audience: pay attention and let go. These two actors take the direct route to King Lear – through the heart. In the space of 90 minutes we see the majesty and misery of both the character and the actor who never got to play him. It makes you wonder if Petherbridge’s dream will ever come true at the same time you are thinking that with My Perfect Mind the dream has been realized. I hope so. I do hope so. By Kathryn Hunter, Paul Hunter and Edward Petherbridge; directed by Ms. Hunter; designed by Michael Vale; lighting by Alex Wardle for Charcoalblue; sound by Gregory Clarke; script consultant, Kathleen Riley; production manager, Andy Beardmore; technical stage manager, Rachel Bowen; stage manager, Devin Day. A Told by an Idiot, Young Vic and Theater Royal Plymouth production, presented as part of the Brits Off Broadway series by 59E59 Theaters, Elysabeth Kleinhans, artistic director; Peter Tear, executive producer; Brian Beirne, managing director. 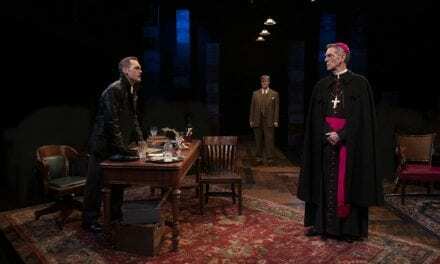 At 59E59 Theaters, 212-279-4200, 59e59.org. Through June 28. Running time: 1 hour 30 minutes. WITH: Paul Hunter and Edward Petherbridge.